We ship all orders placed before 4PM, Monday through Friday, on the same day. Orders placed on Saturday and Sunday will be shipped on the following Monday. We do not offer Saturday or Sunday delivery service. We charge a fee of 50 THB for express delivery + 60 THB per delivery. We deliver in the Bangkok Metropolis area to following area codes: 10110. For all our deliveries we use the services of SKOOTAR. Special attention is given to the preparation of our products for shipping. Products are protected and packed with insulating materials and cold packs in order to guarantee an ideal temperature throughout the transportation process. All online orders must be paid online using PayPal or credit card, via a secured transaction. Payment by check or cash is not accepted. It is not possible to pay for orders at the time of delivery. Once we have finished packing your order, you will receive an email containing your SKOOTAR tracking number. This number can be used to track your order directly at skootar.com. Once you have finished ordering and your payment has been validated, you will immediately receive a confirmation email, containing your order number, order total and delivery information. Please review this information as soon as possible to ensure it is correct. If you need to make any changes to your order, please contact our Customer Service Department at +66 2 381 6691. 9 AM – 12 PM. 2 PM – 5:30 PM. We are HACCP and GMP certified with HALAL accreditation, and undergo stringent inspections on a regular basis from independent research institutes and from some of our renowned customers. Are chocolates suitable for individuals with allergies? Many of our chocolates contain nuts, milk, or soy ingredients, and any of our products may contain traces of those and other common allergens, including eggs. 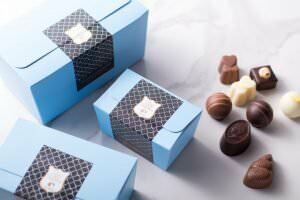 To ensure freshness, we advise you to store our chocolates at temperatures that do not exceed 18°C. Avoid heat, humidity, and direct sunlight. All products should be consumed before the “Best Before Date (BBE)” indicated on the packaging. Before you put chocolate in the fridge or wine cooler, wrap it tightly to protect against odors and condensation, and seal it in an airtight container. When you take it out, let it come back to room temperature before unwrapping. For maximum enjoyment, always eat chocolate at room temperature, especially truffles. How should I store macarons? To ensure best quality please consume within 3 days of purchase. Take the macarons out of the refrigerator and keep in the box at room temperature for 15 minutes before consumption to ensure the best flavor. Pralines made in Belgium are usually soft-centred confections with a chocolate shell. They are distinct from the nut and sugar sweets popular in France and the United States which are sometimes known by the same name. They were first introduced by Jean Neuhaus II in 1912. There have always been many forms and shapes: nearly always containing a chocolate shell with a softer filling. 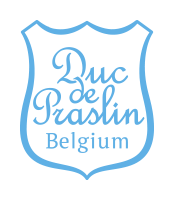 Confusion can arise over the use of the word praline in Belgium as it may refer to filled chocolates in general or sometimes to traditional praliné-filled chocolates popular in Europe (praliné refers to caramelised hazelnuts or almonds ground into a paste). Belgian pralines are not limited to the traditional praliné filling and often include nuts, marzipan, salted caramel, coffee, liquors, cream liqueur, cherry or a chocolate blend that contrasts with the outer shell. They are often sold in stylised boxes in the form of a gift box (ballotin). Most commonly in the form of a flaky or smooth chocolate ball or traditionally a truffle-shaped lump, Belgian chocolate truffles are sometimes in encrusted form containing wafers or coated in a high-quality cocoa powder. They contain a soft ganache which is traditionally a semi-emulsion of liquid and therefore has a couple of days shelf-life at low temperatures and/or requires refrigeration. A ballotin is a cardboard gift wrap box used to pack chocolate. It was invented in 1915 by Louise Agostini and her husband Jean Neuhaus II, who realised that pralines were getting crushed inside paper cornet bags used to wrap them up. A tuile is a baked wafer, French in origin, generally arced in shape, wafer thin, crisp, sweet, or savory, that is made most often from dough, often served as an accompaniment of other dishes. Tuile is the French word for tile, after the shape of roof tiles that the baked good most often resembles. Tuiles are commonly added as garnishes to desserts such as panna cotta or used as edible cups for sorbet or ice cream. Sablé is a French round shortbread cookie that originates in Sablé-sur-Sarthe (France). According to the letters of the Marquise de Sévigné, the cookie was created for the first time in Sablé-sur-Sarthe in 1670. The French word sable means “sand”, which is the French term that takes the place of the English “breadcrumbs” in the context of baking: at the beginning of the recipe, the baker rubs cold butter into flour and sugar to form particles of dough resembling breadcrumbs or sand. Ganache (from the French word for “jowl”) is a glaze, icing, sauce, or filling for pastries made from chocolate and cream. Ganache is normally made by heating cream, then pouring it over chopped chocolate of any kind. The mixture is stirred or blended until smooth, with liqueurs or extracts added if desired. Butter is traditionally added to give the ganache a shiny appearance and smooth texture. According to Larousse Gastronomique, it was invented in a pâtisserie in Paris in the 1850s. Fleur de sel (“flower of salt” in French) is a salt that forms as a thin, delicate crust on the surface of seawater as it evaporates. Fleur de sel has been collected since ancient time, although it was traditionally used as a purgative and salve. It is now used as a finishing salt to flavor and garnish food. The name comes from the flower-like patterns of crystals in the salt crust.